Last Saturday, I was invited by Mr. Fil Benitez and Kaoko to a dinner at Mario’s Tomas Morato. I’d be honest that I know little about Mario’s. 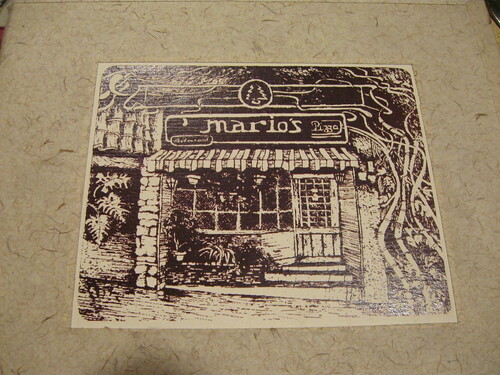 I think we’ve eaten once or twice at their Makati branch and when that was gone, so was our Mario’s experience. So last weekend’s expedition (for us southerners, going up north is an expedition), was the perfect time to reconnect not only with the food but the institution that is Mario’s. When most of the guests arrived, we were greeted by the owner, Mr. Fil Benitez, and he shares to us the rich history of Mario’s. It started way back in the 70s in Baguio and one of the guests, Spanky, even shares that in his youth, he stole one of their pepper mills. The restaurant was such a hit back then that many requested for them to bring their restaurant in Manila. It started out as a place for fine dining, guests are expected to wear their Sunday best and waiters served in formal wear. Thirty years later, Fil is giving the restaurant a facelift, introducing a Hip Cordillera to the new generation of movers and shakers in Manila. The restaurant’s old Spanish cellar look is gone and replaced by a comfy Mediterranean loft. It made the place cozier, less intimidating than what I had remembered. Mr. Benitez kept some of the old stuff, like Igorot baskets from Sagada and some other features that really takes you back to Mario’s roots. Other than the restaurant, dinner was very lively and the food was hearty and gracious! We were given gambas, oysters, and mushrooms for appetizers along with a glass of wine. 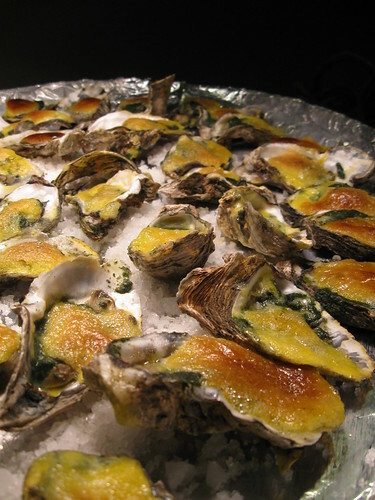 The Oyster Rockefeller was lovely. I’m not a big fan of oysters but this one, I truly enjoyed. The cheese and the pesto-like flavor matched with the silkiness of the oyster. It was pristine. I believe I ate more than I should have, but it was worth it. The gambas had a nice Spanish touch to it because of the chorizo while the mushroom was a good side to balance the strong flavors between the gambas and the oysters. After appetizers, Fil and his staff gave us a bit of a show as they prepared their famous Caesar’s Salad to the guests. Many have tried, with great effort, to mimic Mario’s salad but have failed in their experiment. Fil says that the true secret could be in their bowl. I managed to nib some from Kaoko’s plate and I’d like to believe that it’s probably more than the bowl. There must have been magic involved since I’ve never tasted such a well-balanced Caesar Salad before. The lettuce was not swimming in sauce yet it was well coated in seasoning, parmesan, and bacon. I love it. I wish I had more. A little after the salad, Fil gave all the guests dibs on what we wanted for dinner and my mother and I chose to share Paella Valenciana and Callos. 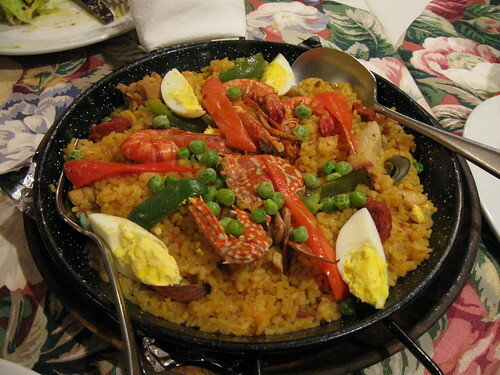 The Paella came in a a shallow cast-iron dish which I loved because it made the dish feel rustic and specially prepared in that cast-iron dish. The seafood flavors seeped in the rice and despite looking rich, the rice tasted light and fluffy. 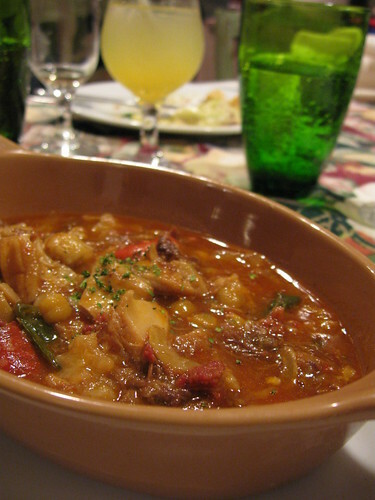 I can say the same thing for callos which was prepared using beef’s tail. The callos didn’t feel too gooey or sticky nor was it too soupy. If I may say so, this was a perfectly cooked callos where you really have a good balance of the meat and the Spanish flavors. What surprised most of us was the price range of Mario’s. Known as a high-end restaurant, many of us were expecting sky-rocketing prices. As it turns out, the price for most of the menu is quite affordable ranging from P250-600 pesos. It’s not so bad considering you’re really getting high quality meats and ingredients and get to dine in a comfortable room rather than in a food court somewhere. This keeps to Fil’s idea of making Mario’s more accessible to everyone. The rest of dinner was shared with wine, laughs, and a good introduction of fellow bloggers who were there to celebrate the new image of Mario’s. It couldn’t have ended better with a small spectacle of flaming up some mango balls and serving them over cold ice cream. 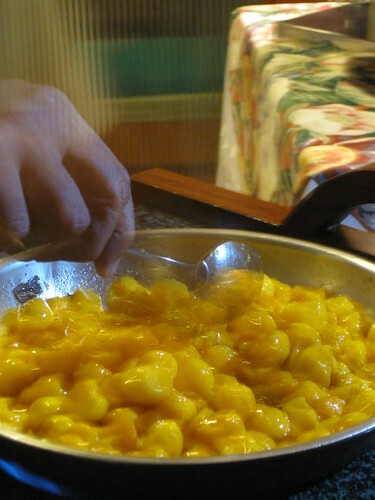 Mango Jubillee was the perfect desert to cap the night for Mario’s remains a restaurant worth celebrating for. My love to Mr. Fil Benitez for inviting me to dinner! I really enjoyed it! Notes: They also have a yummy lunch buffet every Sunday! For 535.00+ for adults and 405.00+ for kids, they’ve got roast turkey and beef, conchinillo, some pastas, their famous Caesar Salad and even sushi! It’s definitely worth a try! I ate there sometime this year and now I remembered that I should really eat there again! Mmmmmm. mario’s! i keep wanting to eat there whenever i visit baguio. i didn’t know they have a tomas morato branch, must check them out! The pictures made me so hungry. Nice post!